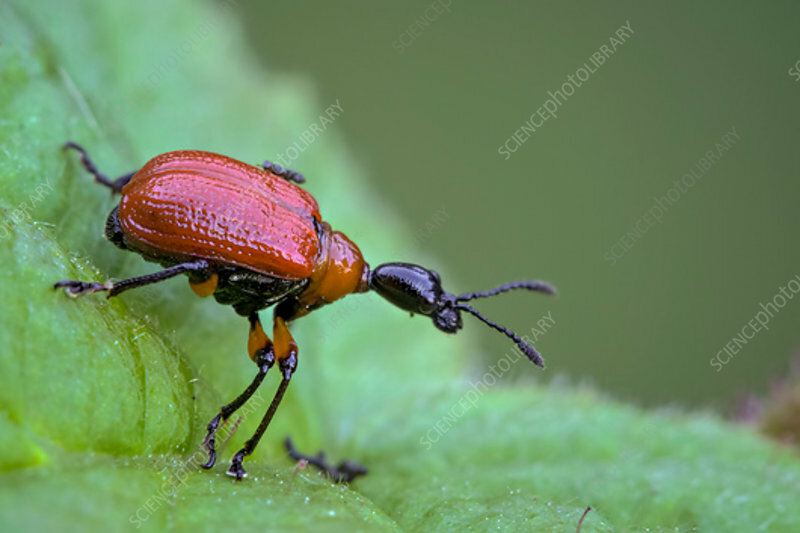 A close-up view of a hazel leaf rolling weevil (Apoderus coryli) resting on a hazel leaf in a deciduous woodland habitat. The weevil gets it name from the habit of the female weevil rolling a hazel leaf into a cigar shape and laying a number of eggs. Photographed in Somerset, UK, in July.